Durable polypropylene card case holds up to 100, 3" x 5" index cards. 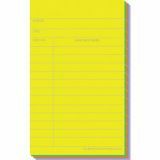 Features snap closure and includes 5 dividers and adhesive label tabs. Acid-free, archival quality polypropylene. 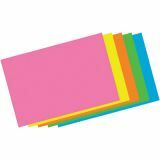 Assorted colors include blue, aqua, purple, and pink. Let us choose your color for you! 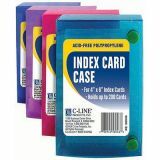 Durable polypropylene card case holds up to 100, 4" x 6" index cards. 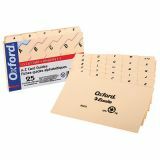 Features snap closure and includes 5 dividers and adhesive label tabs. Acid-free, archival quality polypropylene. 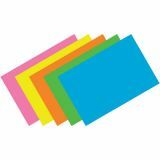 Assorted colors include blue, aqua, purple, and pink. Let us choose your color for you! 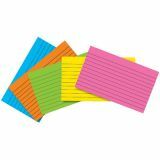 Index Card Alphabetical Guides, 3" x 5", 25/pkg"
Alphabetical. 1/5 cut tabs. 25 per package. 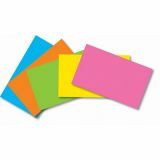 Durable manila stock- 10% PCM, 10% total"
Index Cards, Brite Assorted, Blank, 2" x 3", 200/pkg"
Index Cards, Brite Assorted, Blank, 3" x 5", 100/pkg"
Index Cards, Brite Assorted, Blank, 4" x 6", 100/pkg"
Index Cards, Brite Assorted, Blank, 5" x 8", 100/pkg"
Index Cards, Brite Assorted, Lined, 3" x 5", 75/pkg"
Index Cards, Brite Assorted, Lined, 4" x 6", 75/pkg"
Library Cards, Brite Assortment, Box of 50"
Keep enough library pocket cards on hand with this set of 50! Neon-colored pink, green, orange, blue, and yellow cards are included; each has room to write in the author and title, as well as the date due and borrower's name on both sides. 3" x 5". 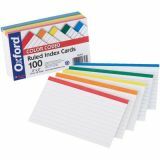 Unique index cards with color strip on top and matching color rules. Quality engineered for uniform size. 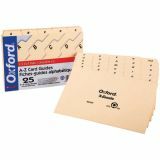 Sturdy, durable card stock. Ruled on one side. Assorted colors include red, yellow, blue, orange and green. 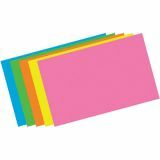 100 cards per pack."